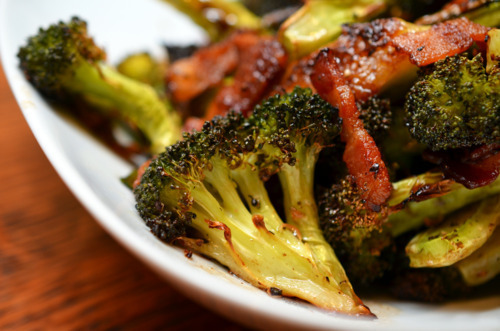 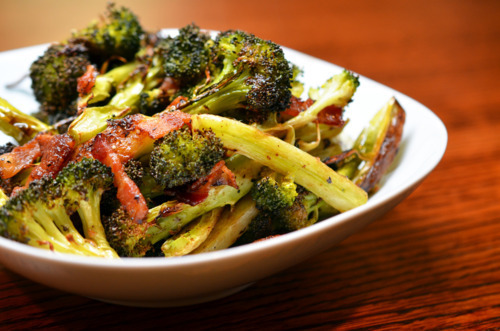 Close up side view of a platter of roasted broccoli and bacon. 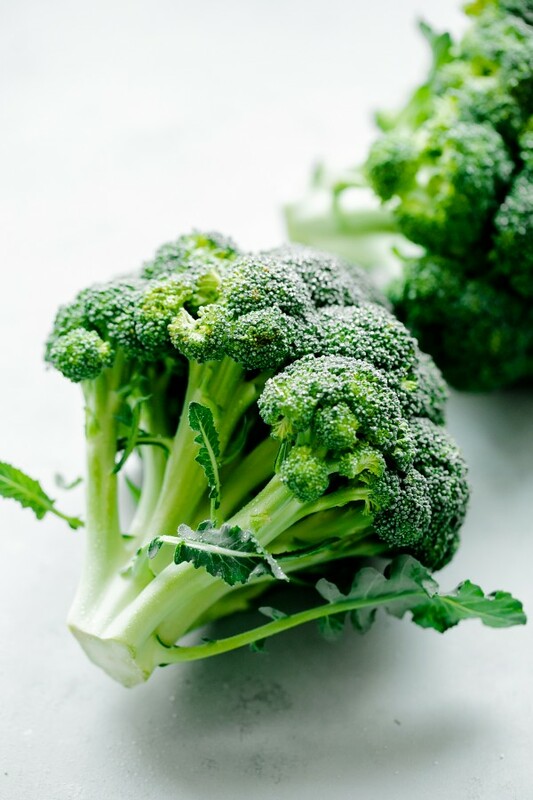 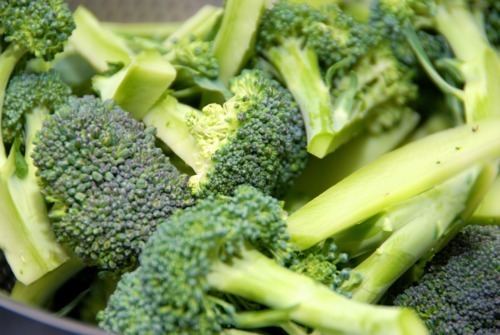 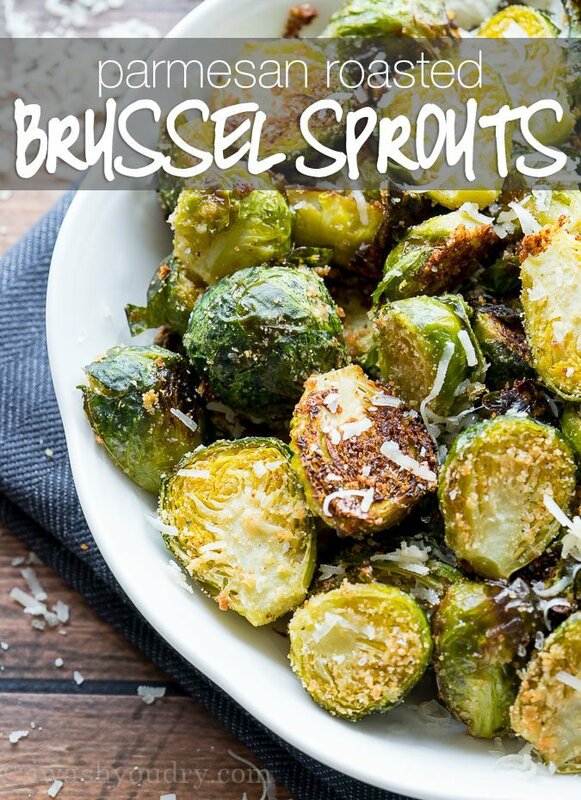 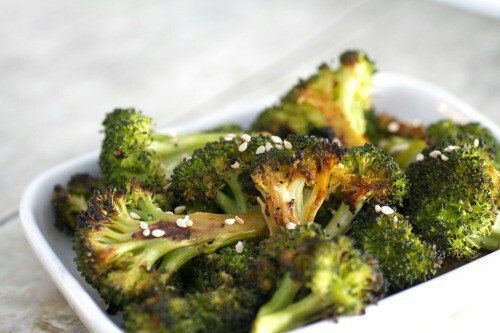 Close up view of raw broccoli florets. 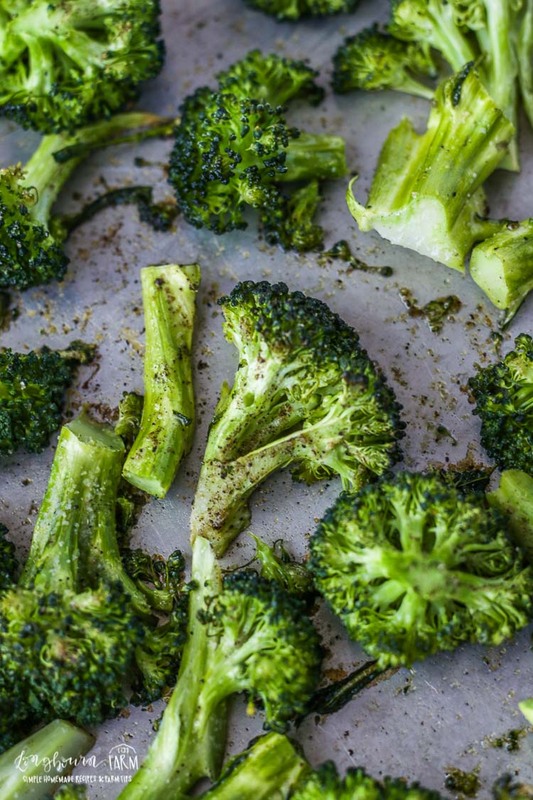 Close up of raw broccoli and bacon bits on a rimmed baking sheet. 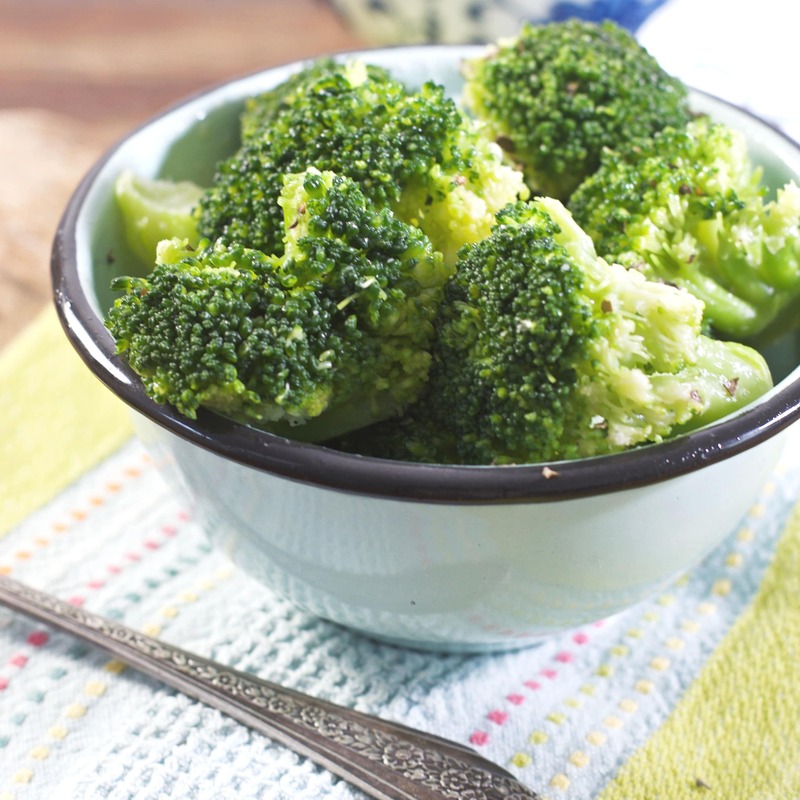 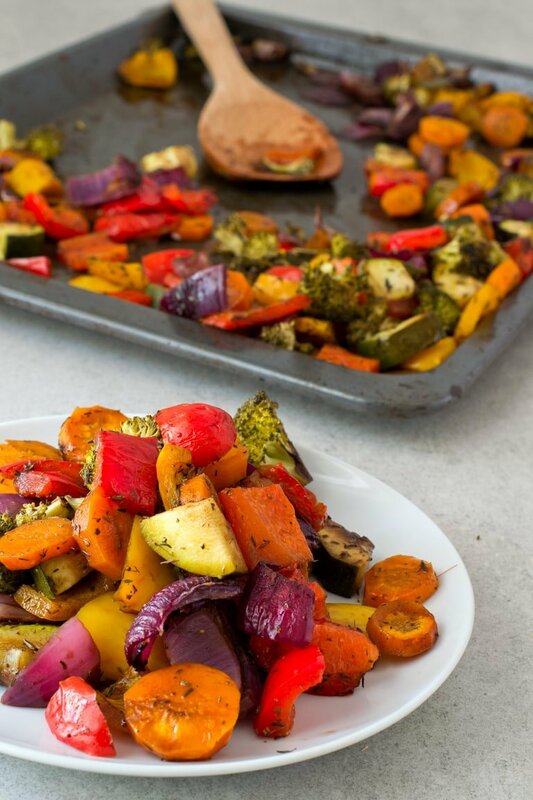 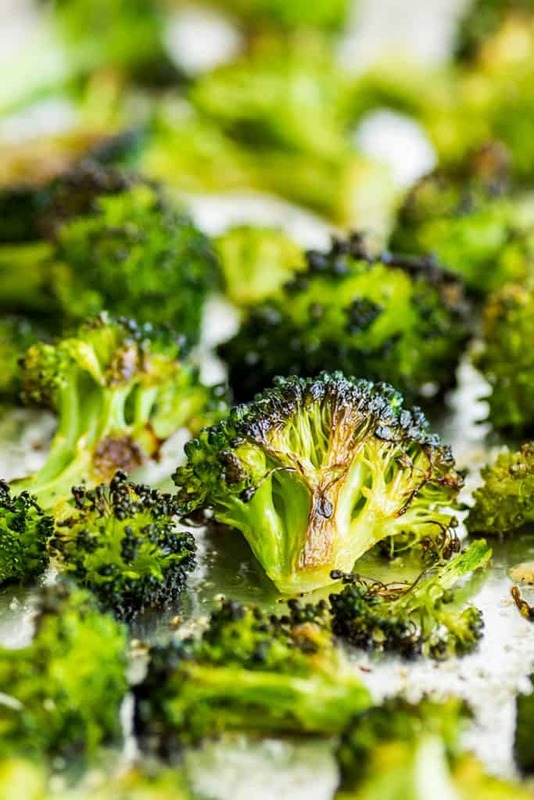 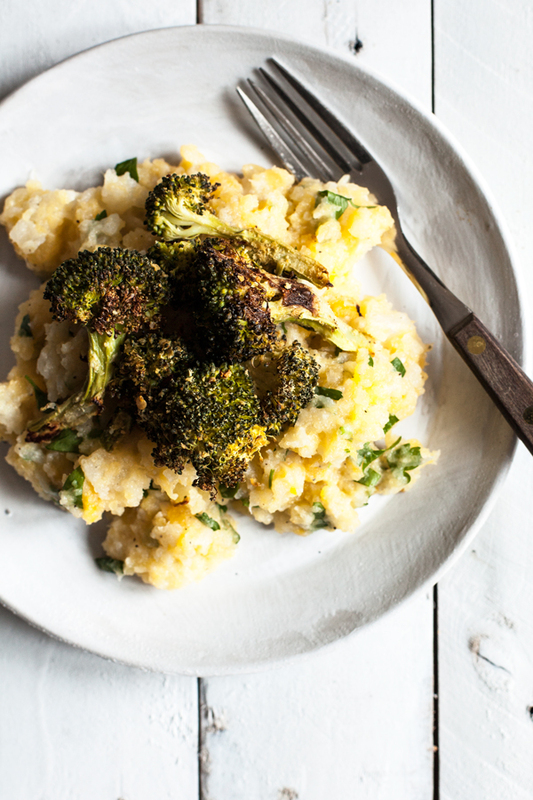 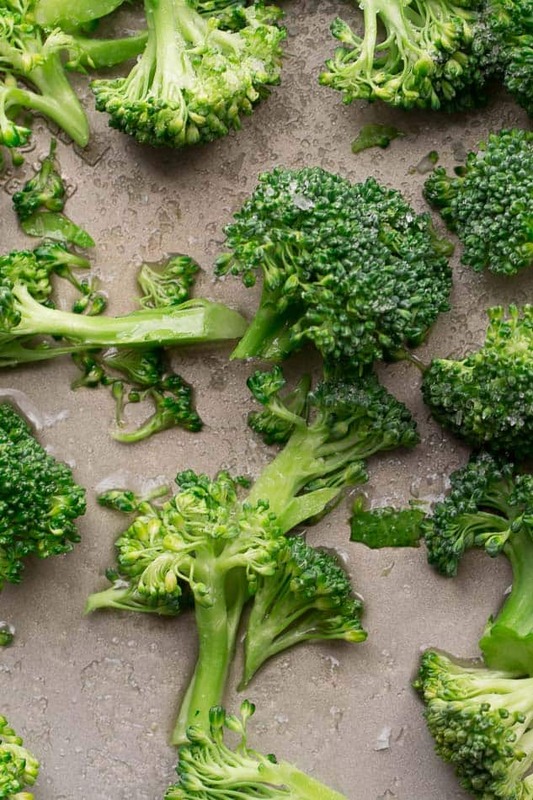 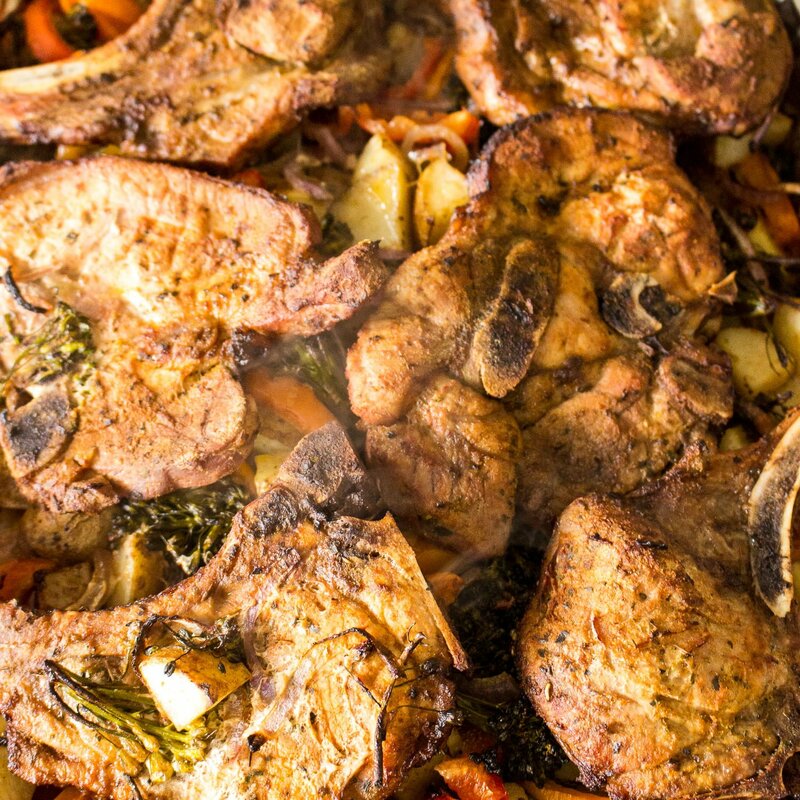 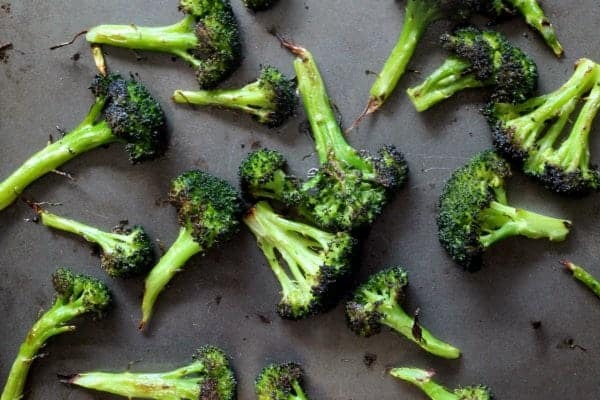 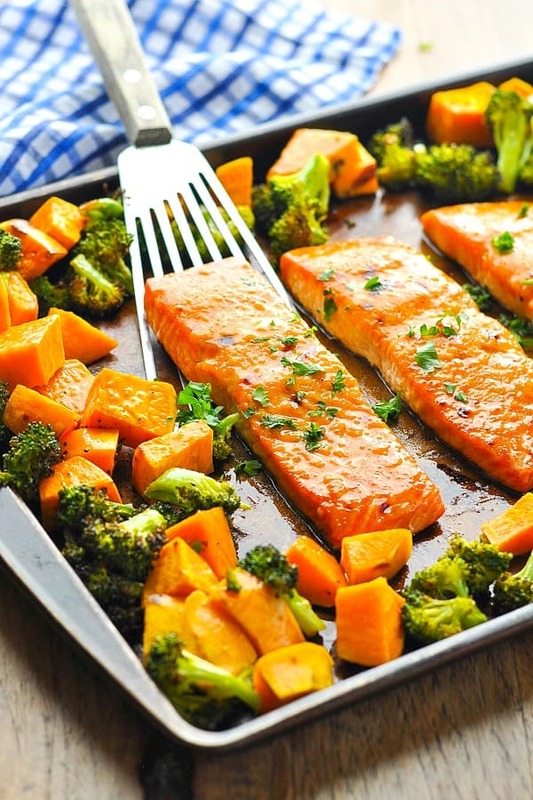 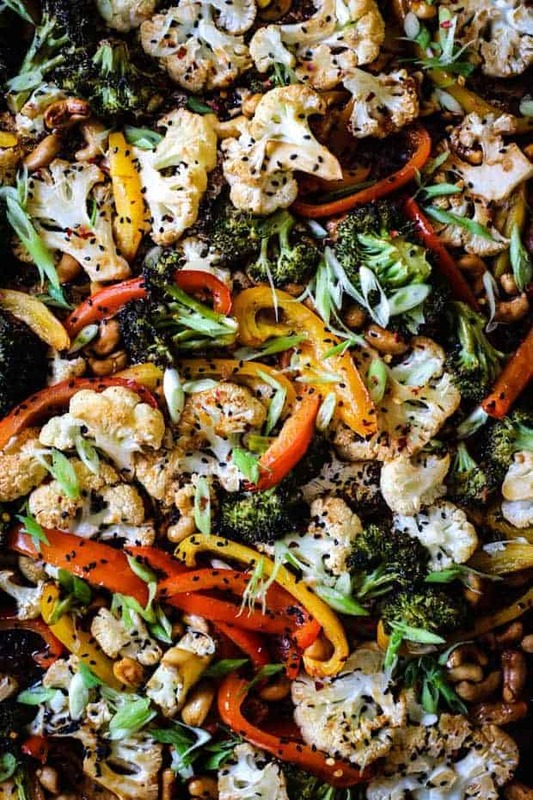 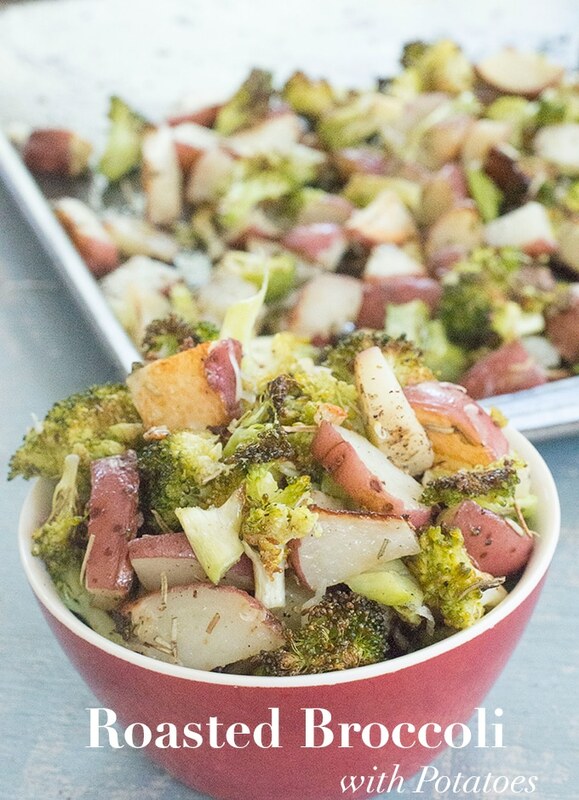 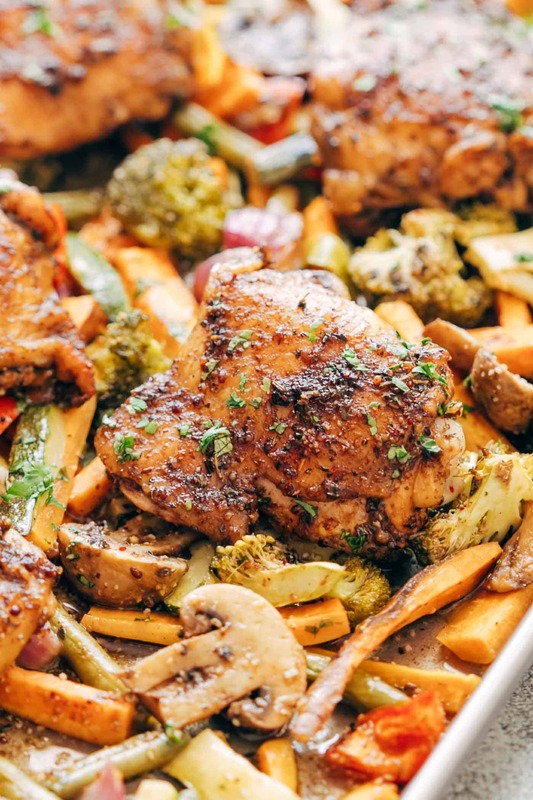 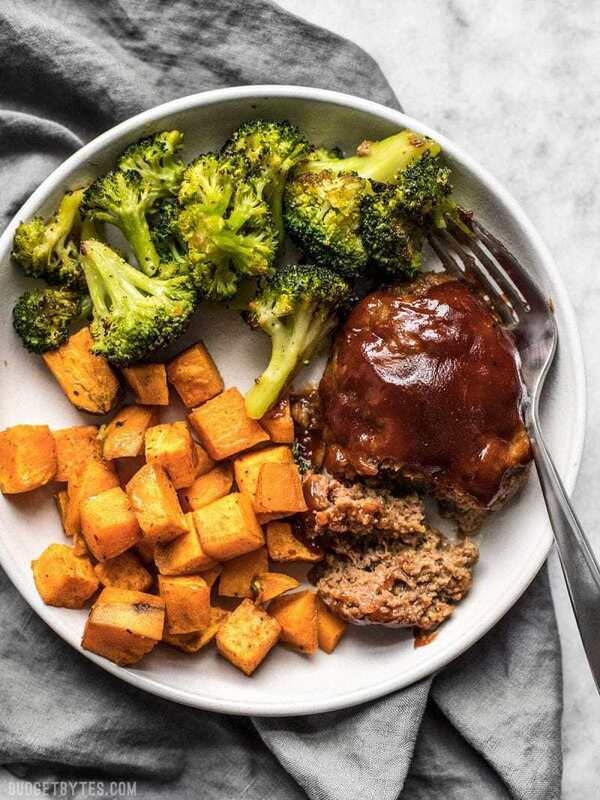 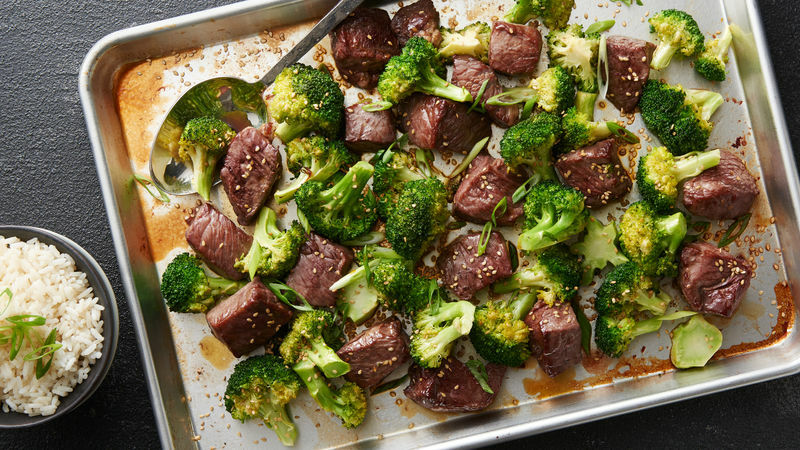 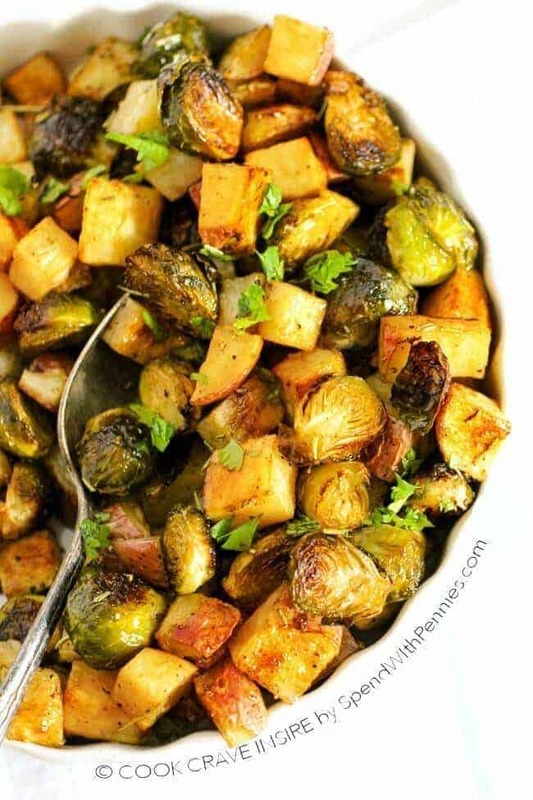 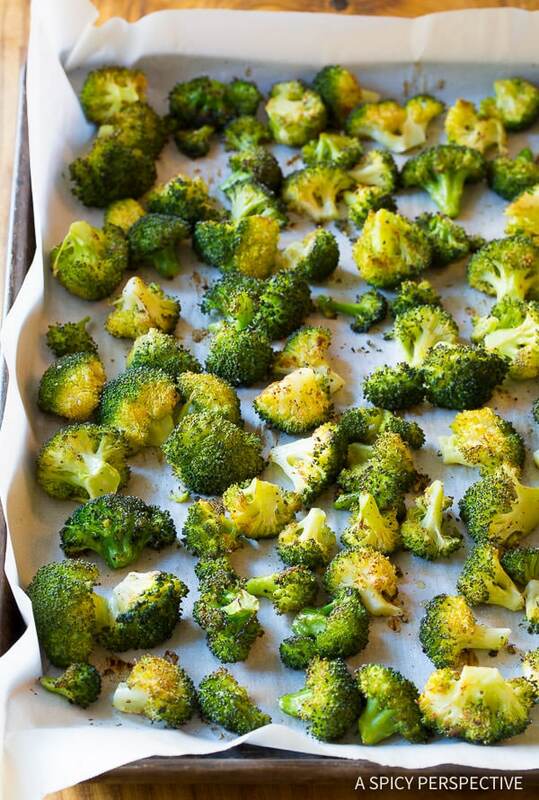 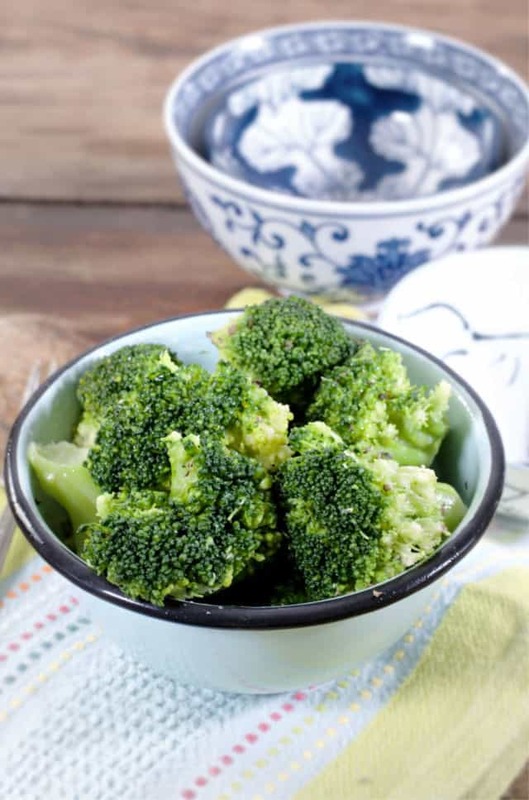 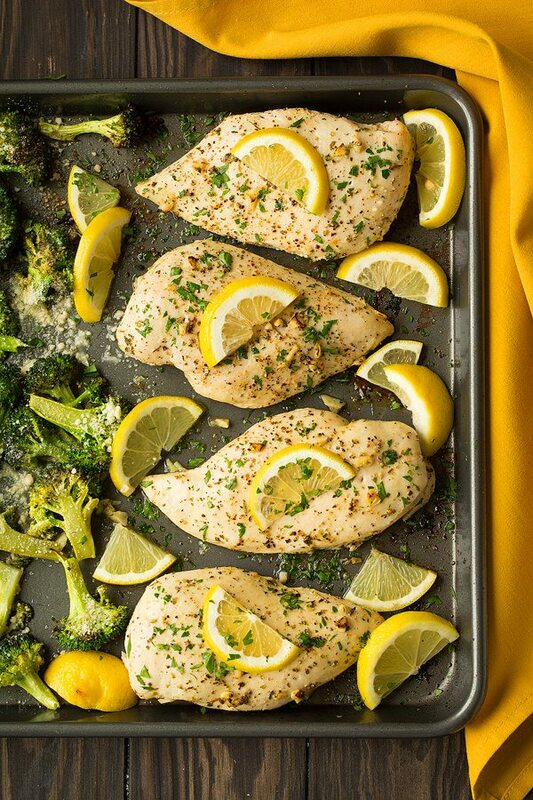 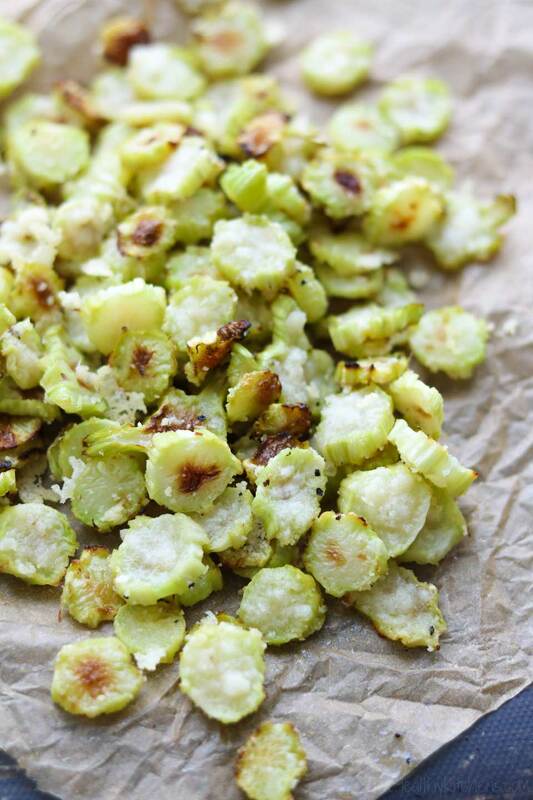 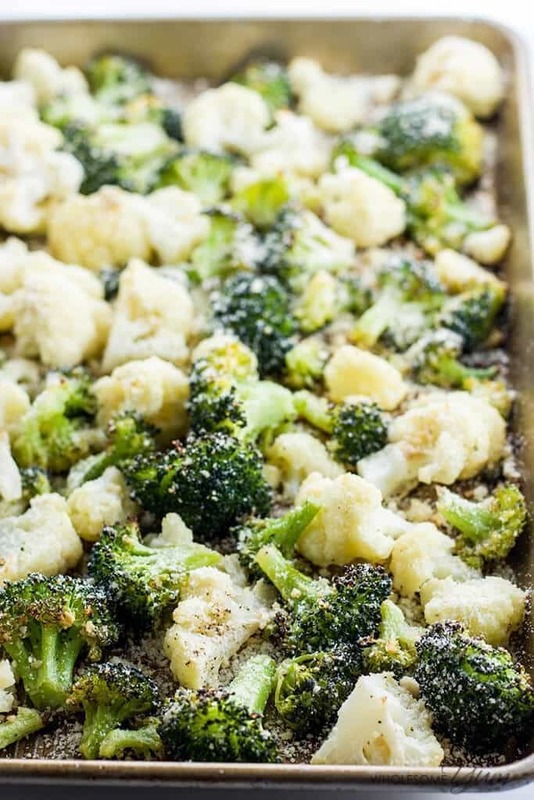 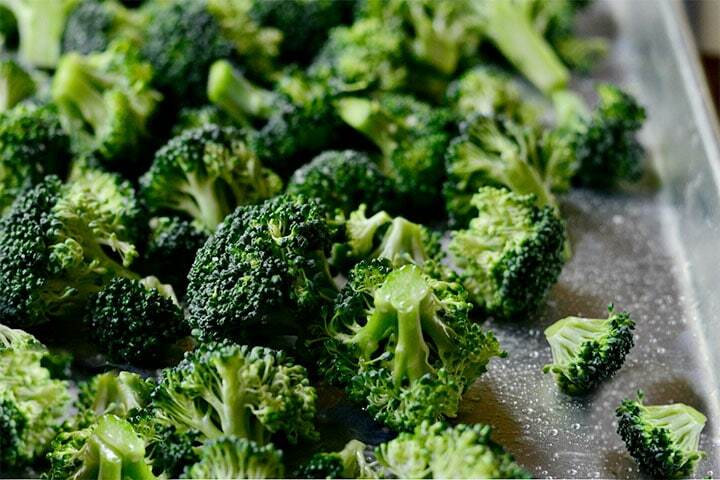 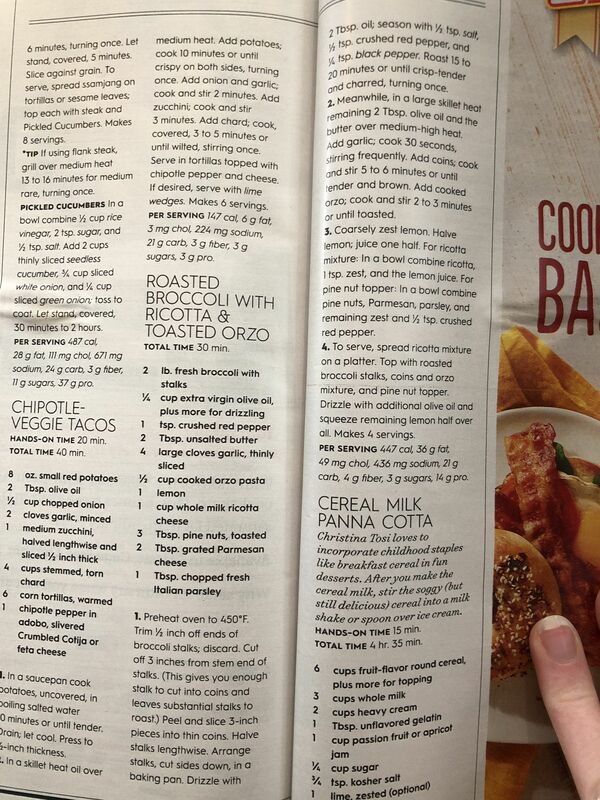 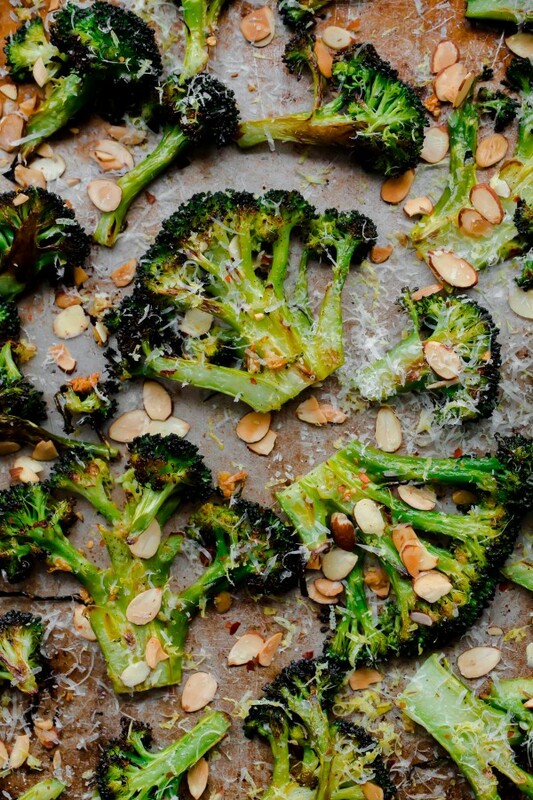 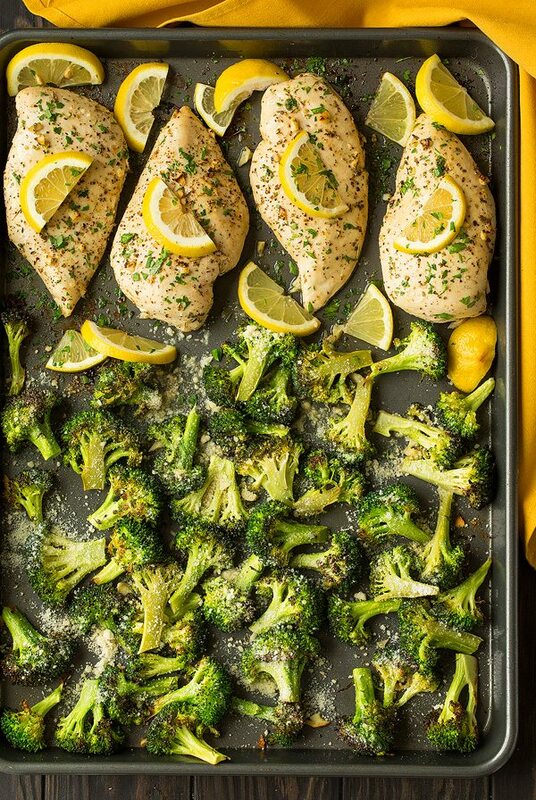 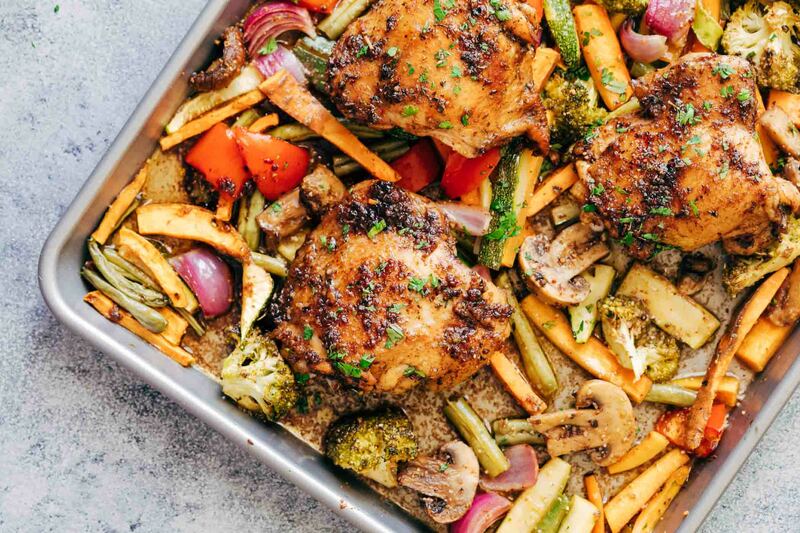 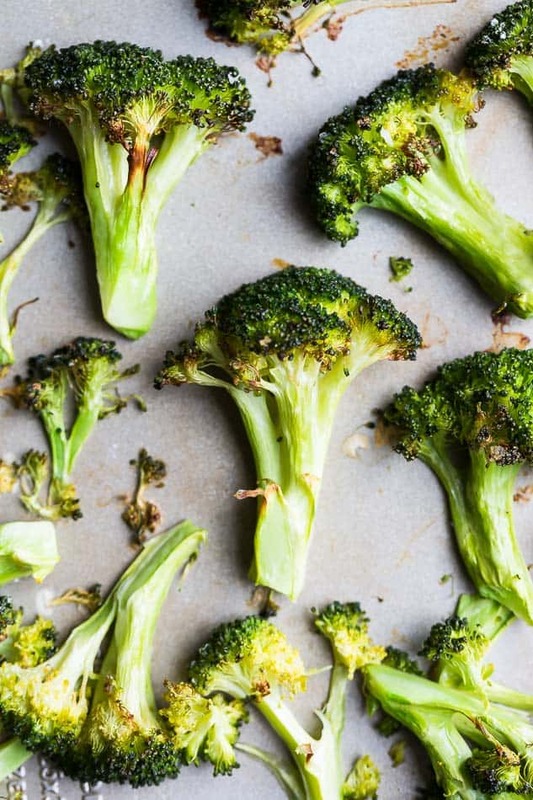 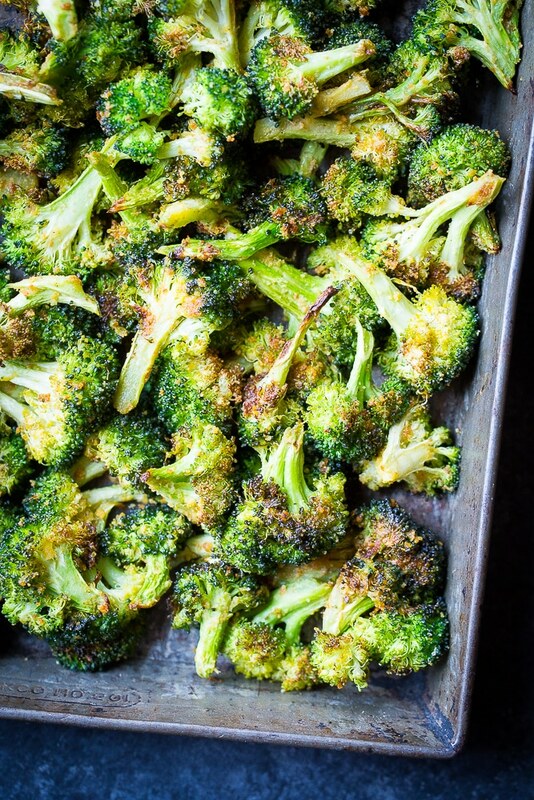 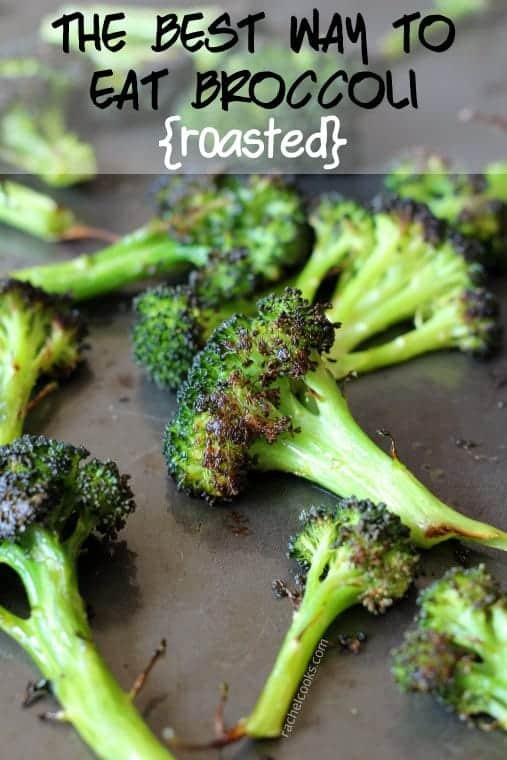 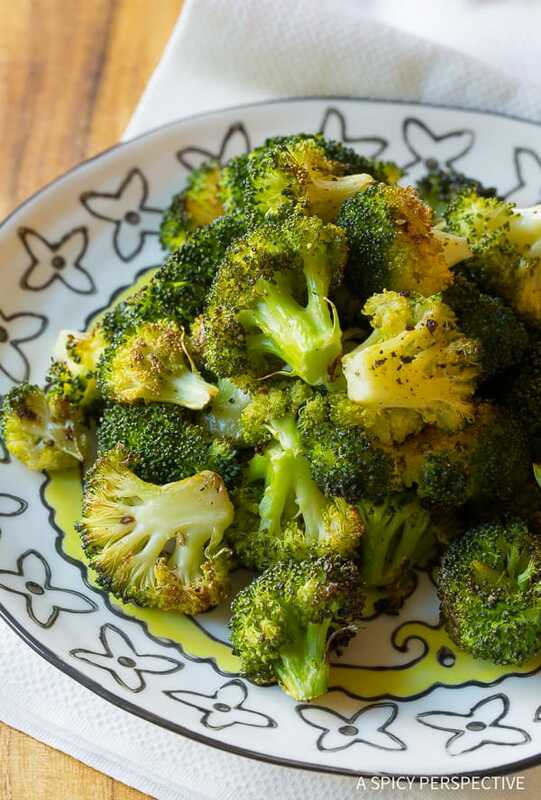 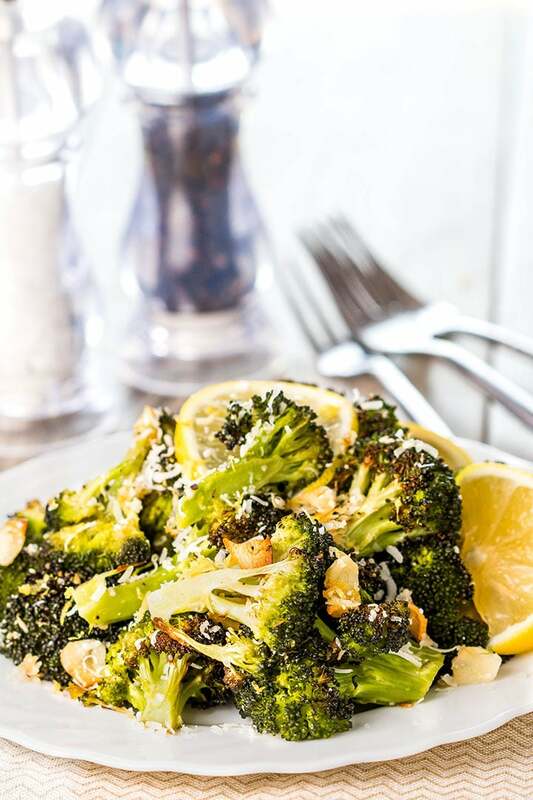 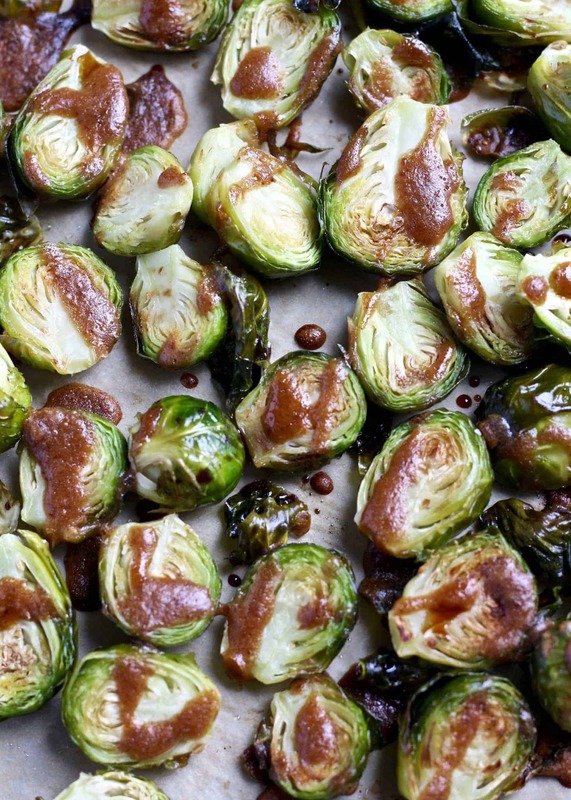 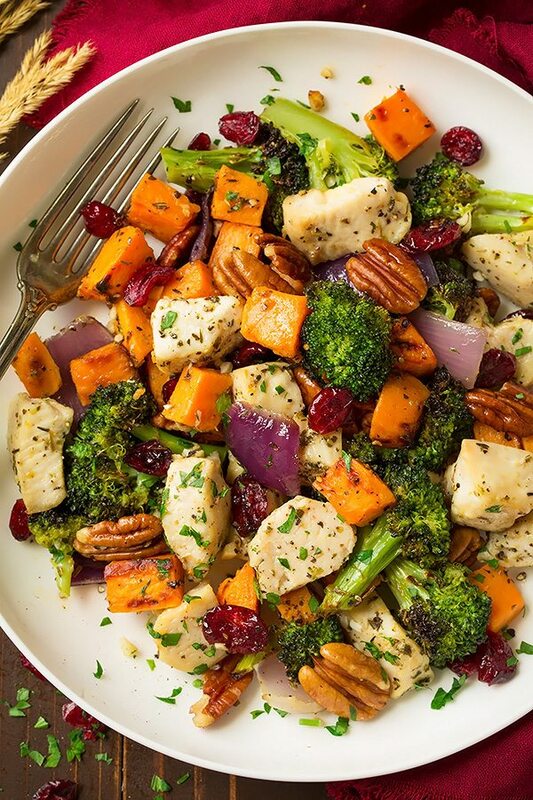 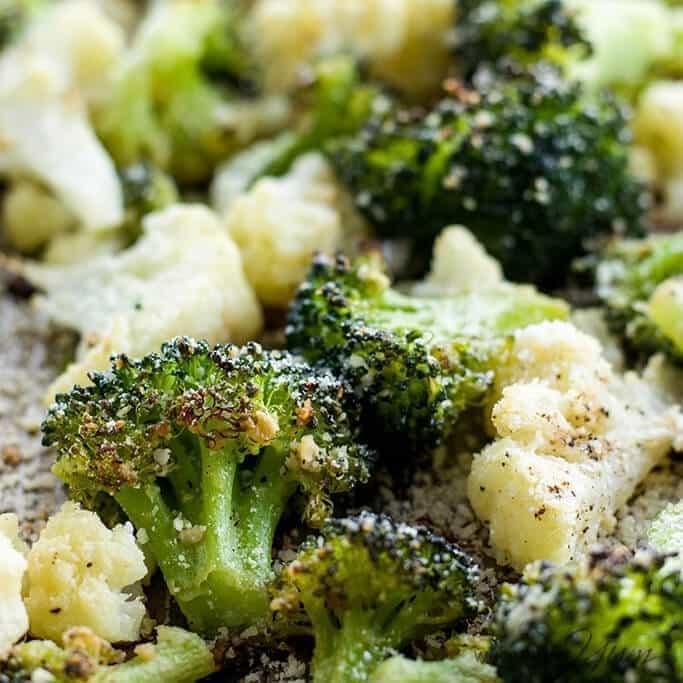 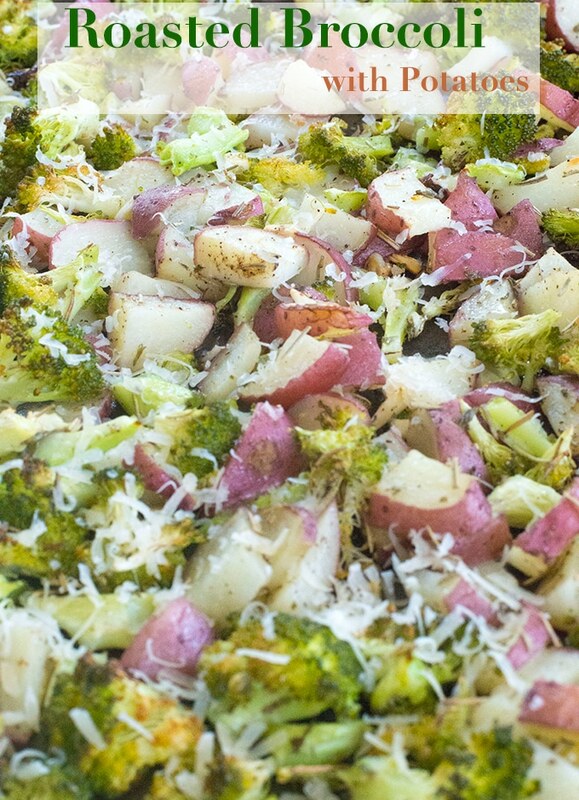 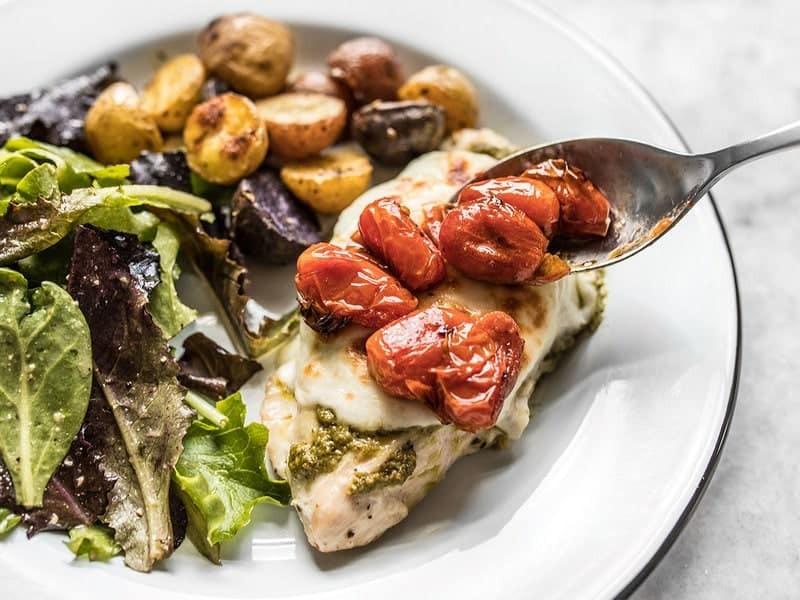 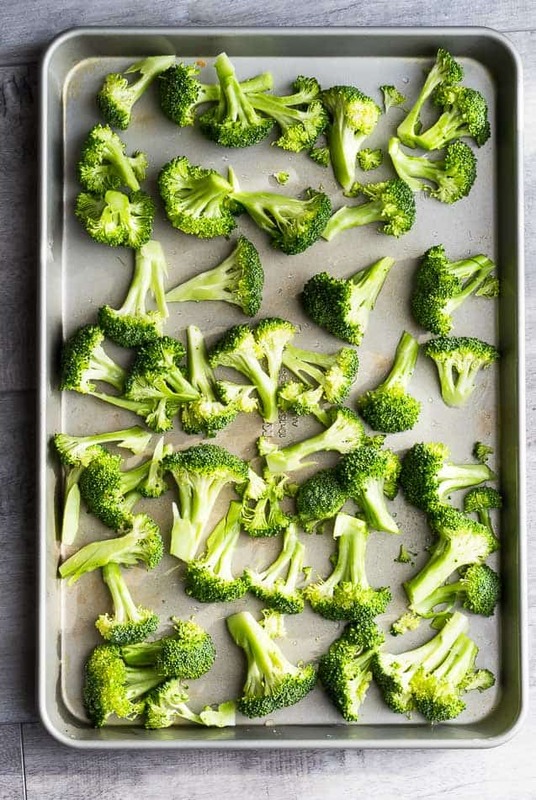 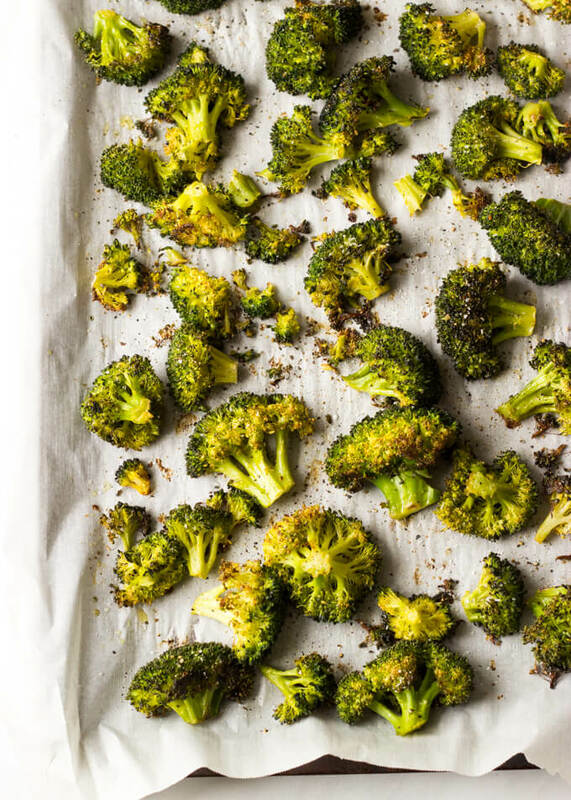 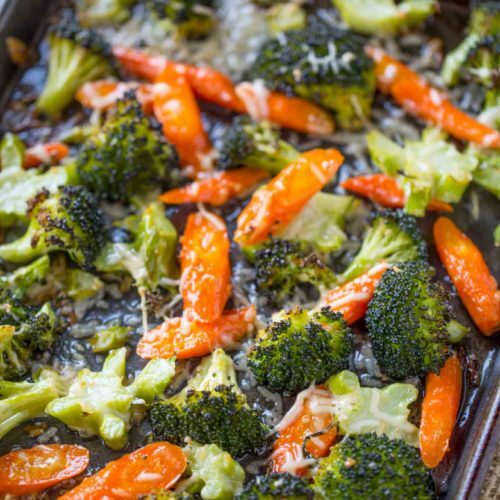 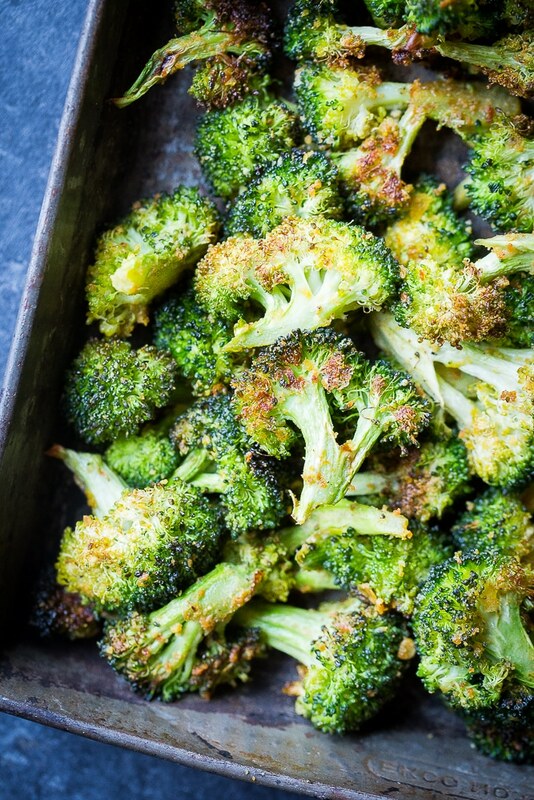 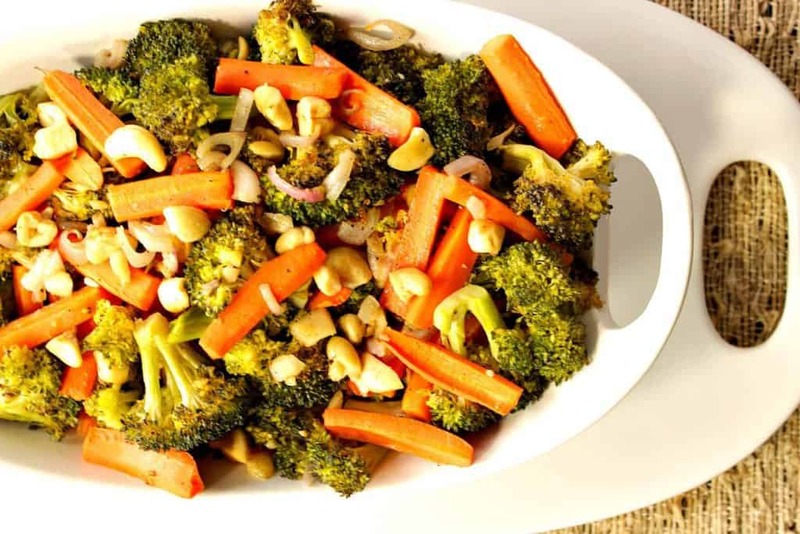 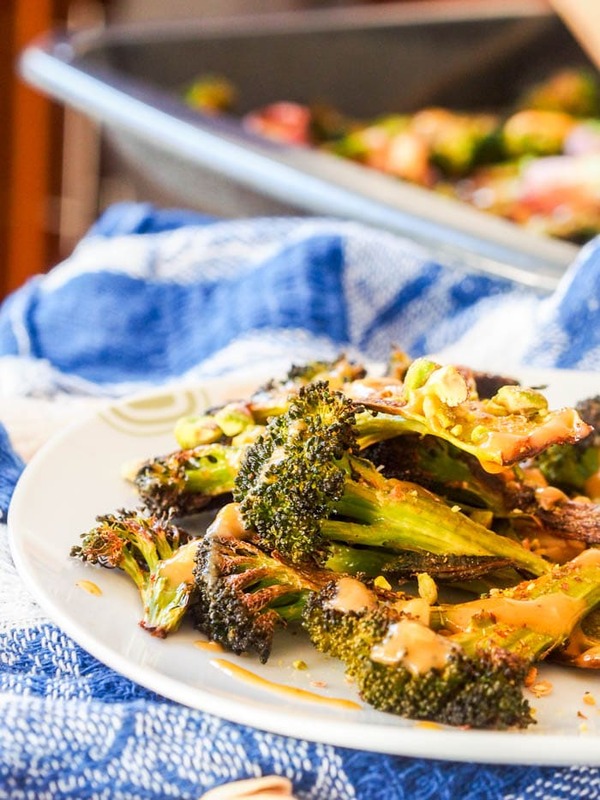 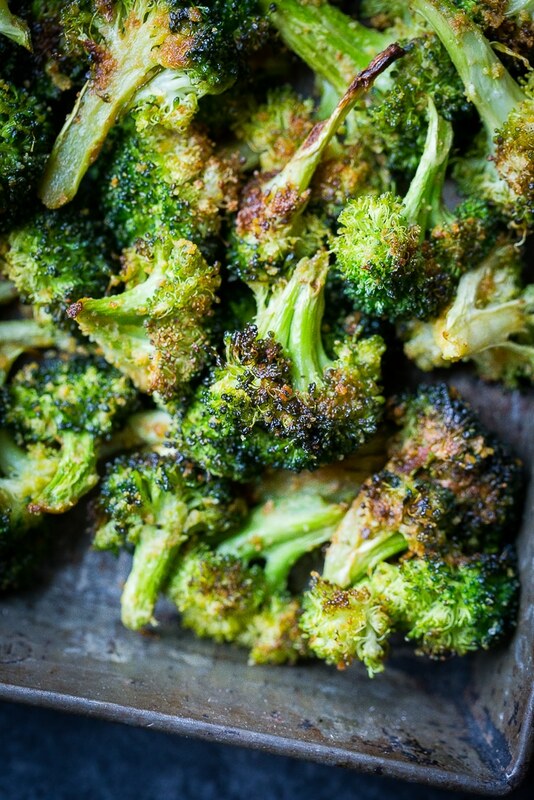 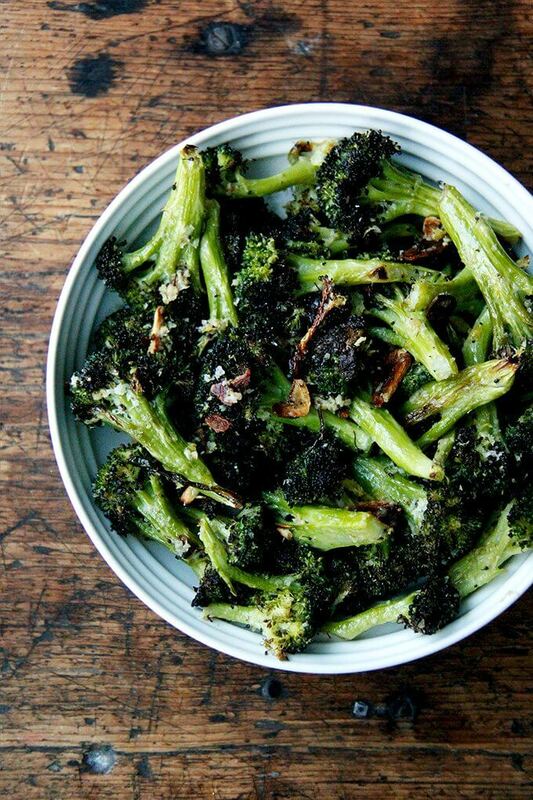 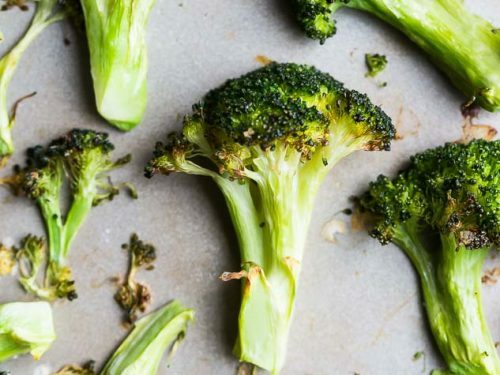 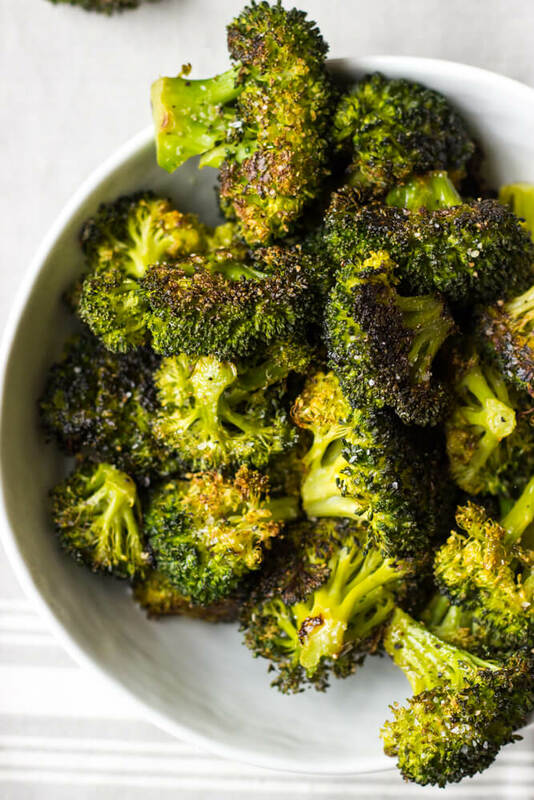 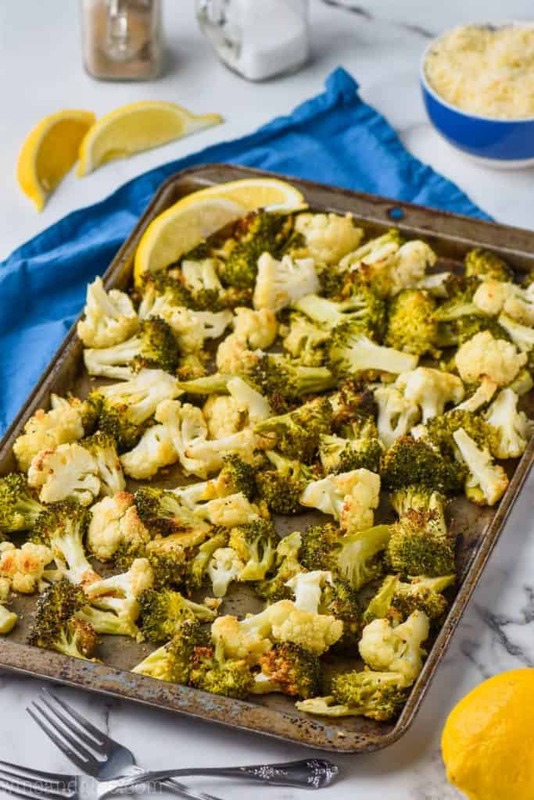 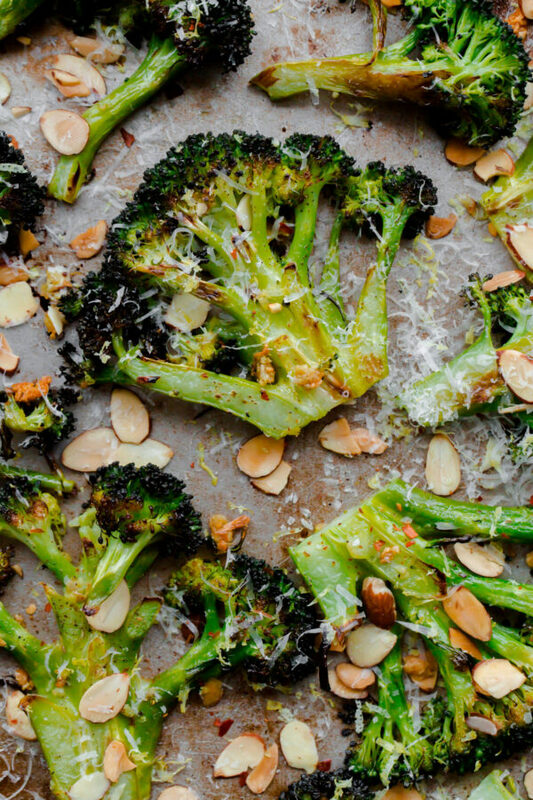 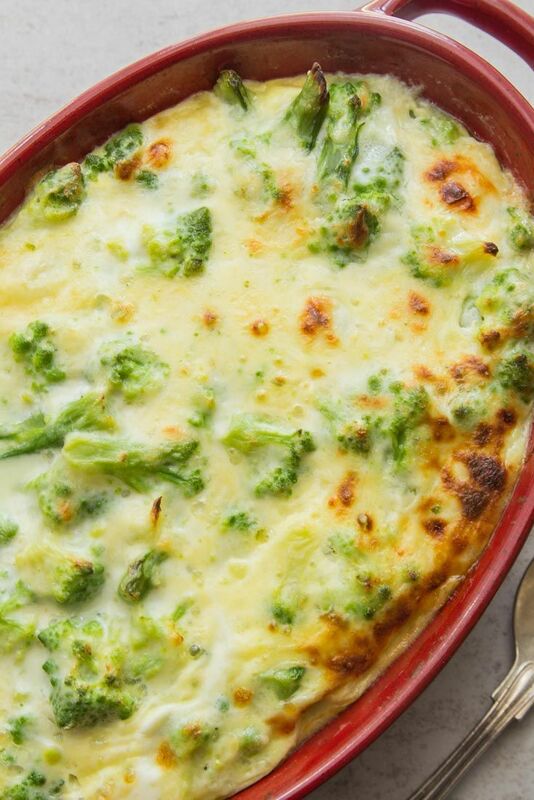 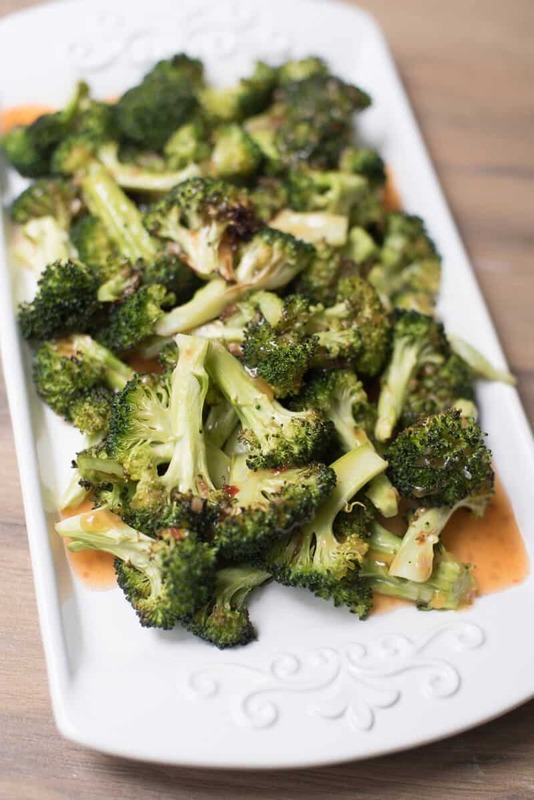 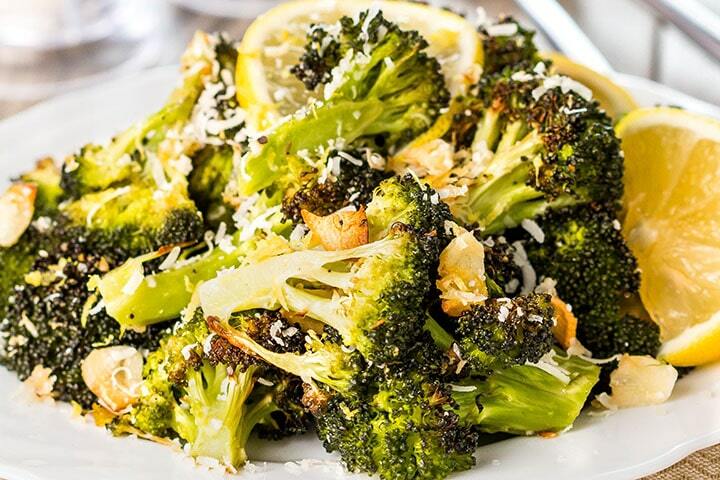 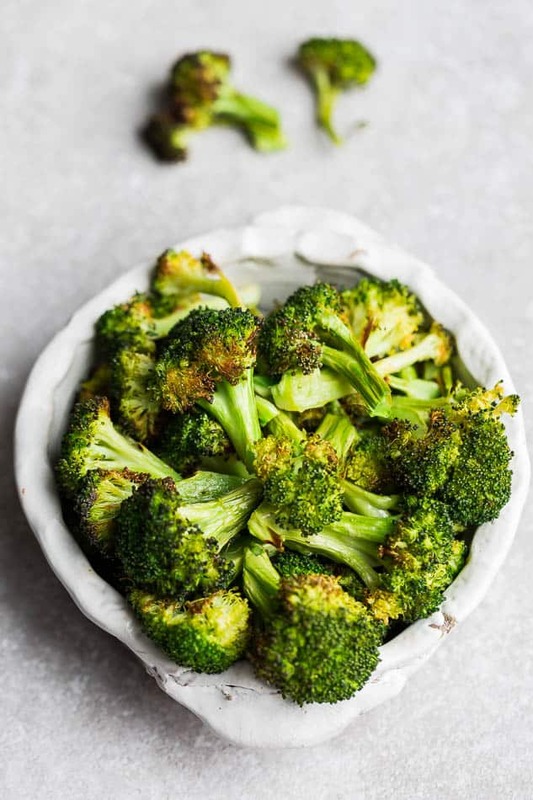 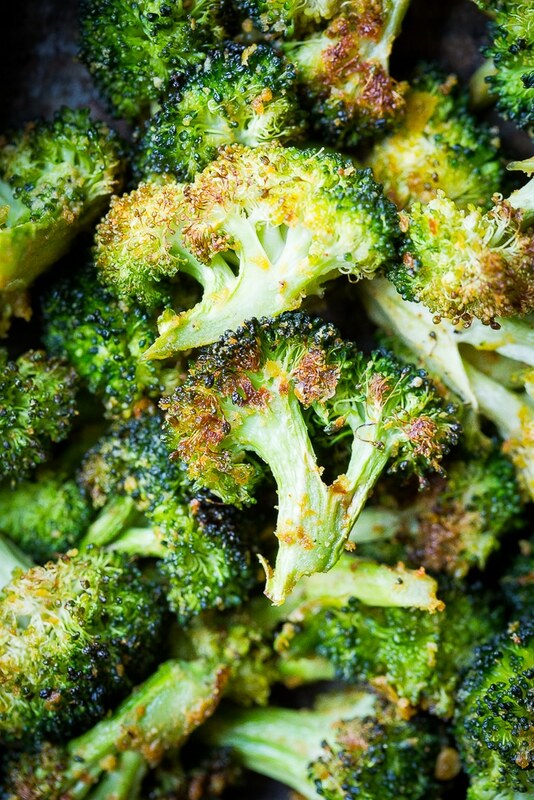 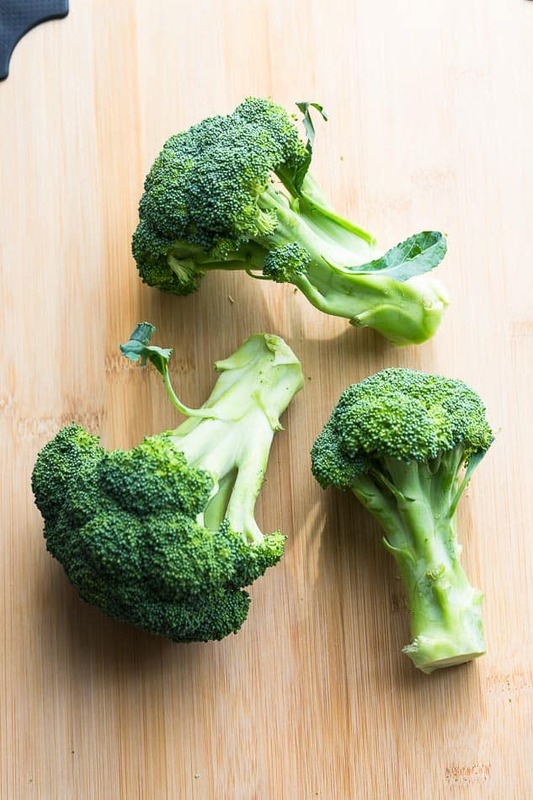 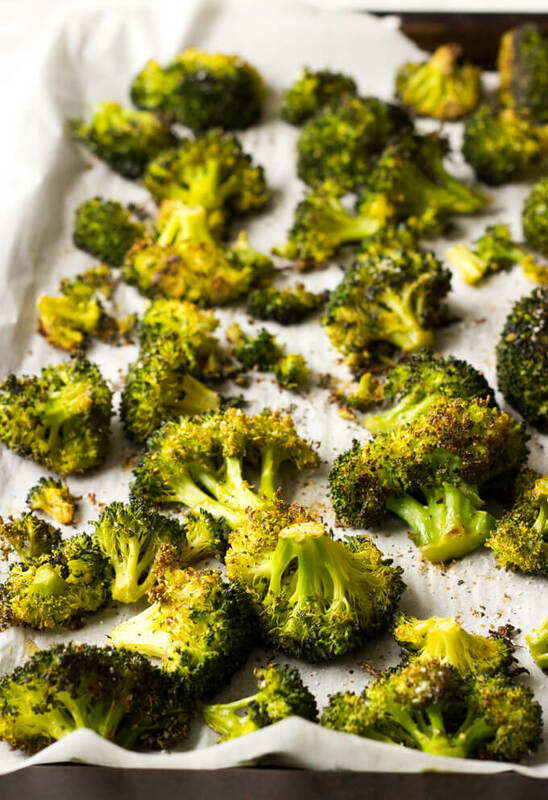 Picture of crispy oven-roasted broccoli on a baking sheet. 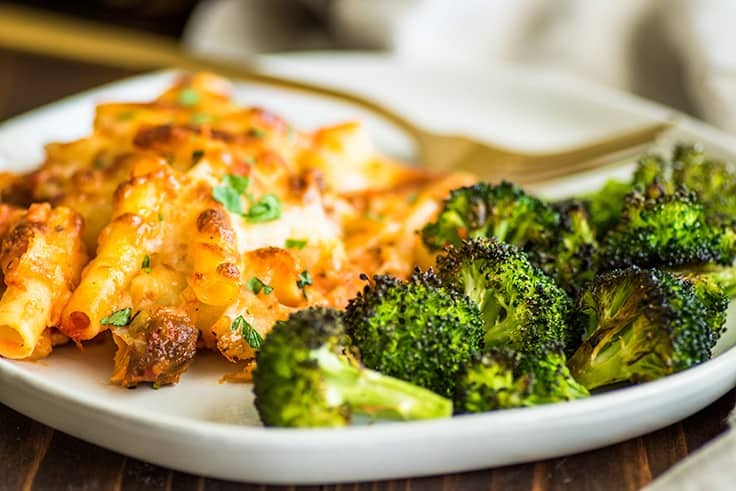 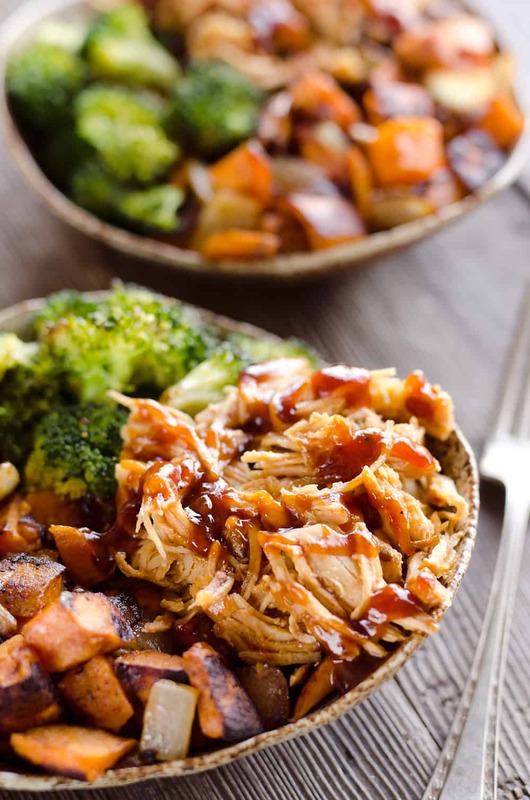 Image of crispy oven-roasted broccoli on a plate with baked ziti. 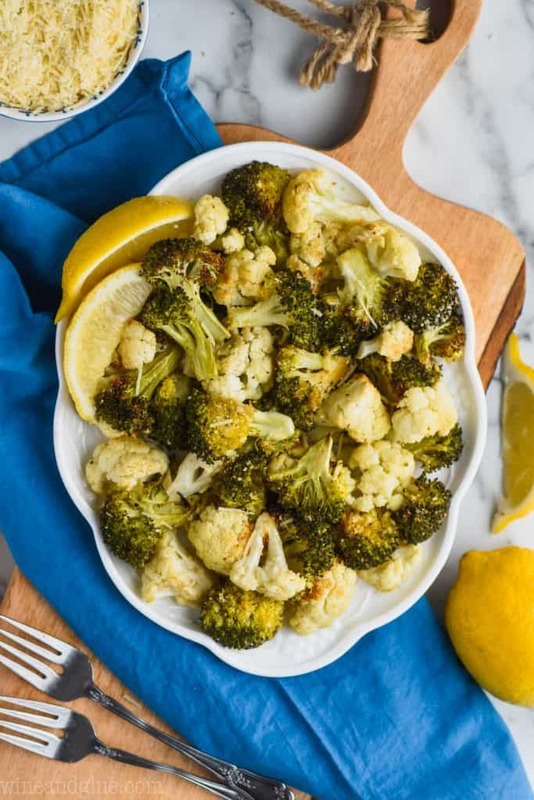 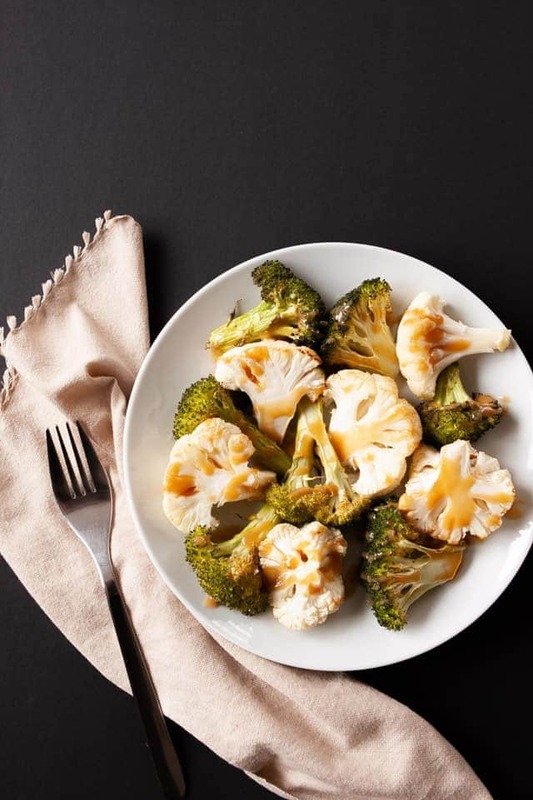 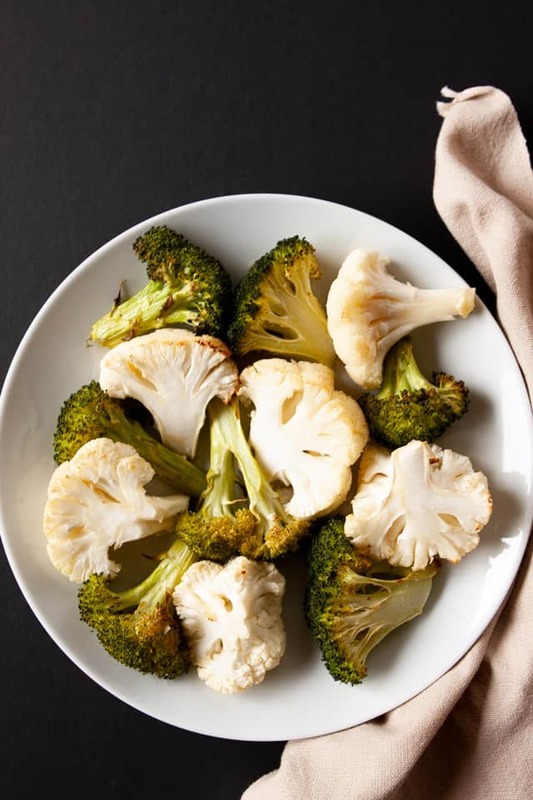 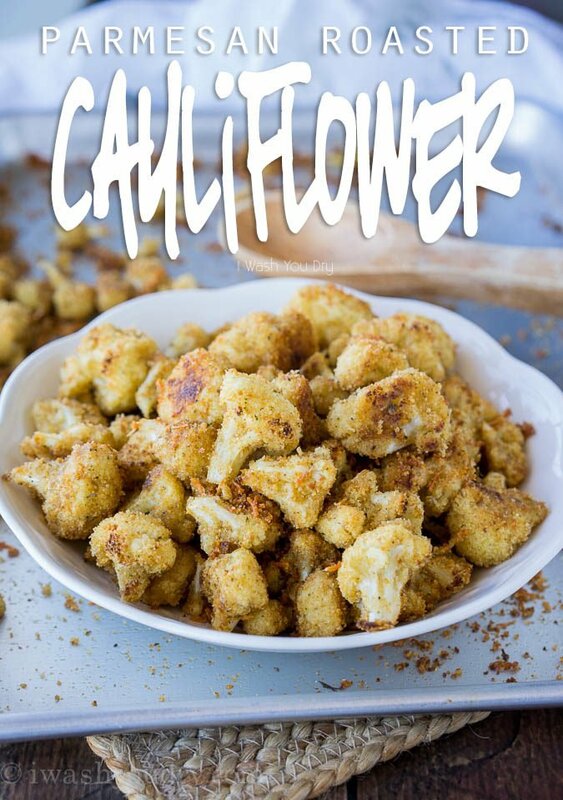 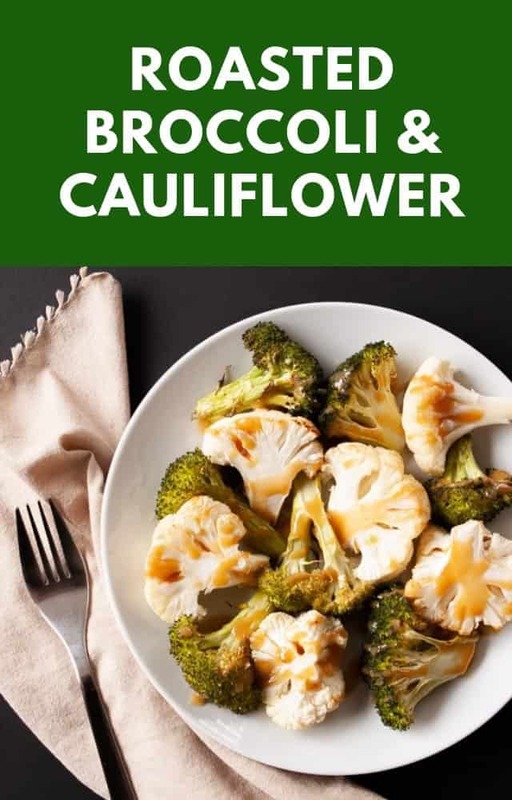 Parmesan Roasted Cauliflower is a super simple side dish recipe that comes together quickly and pairs perfectly with everything! 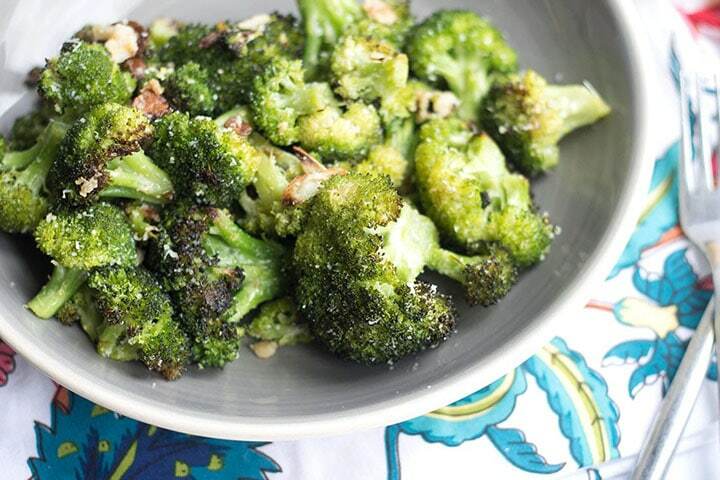 Side view of white serving bowl filled with roasted broccoli and bacon. 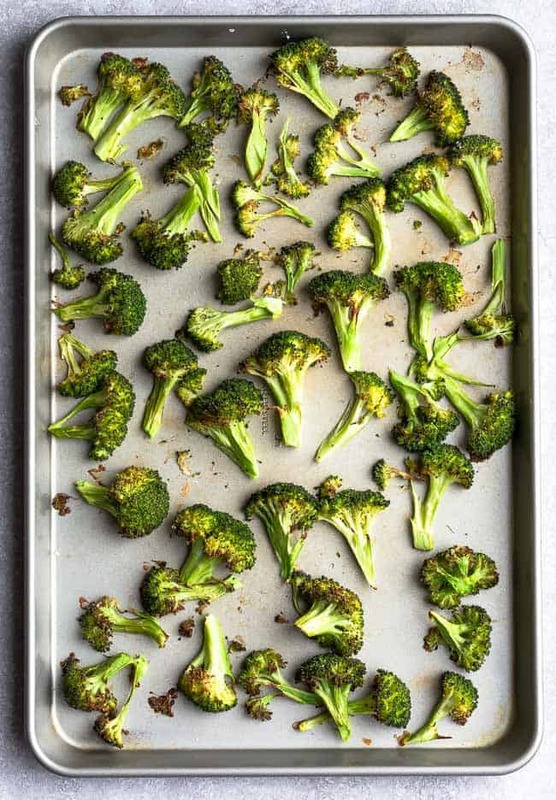 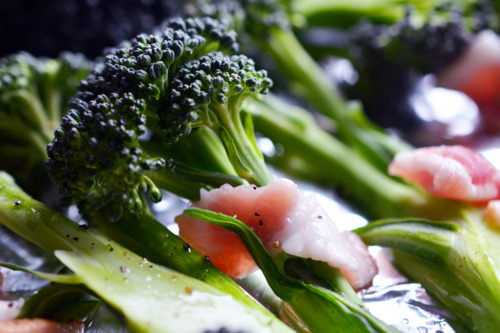 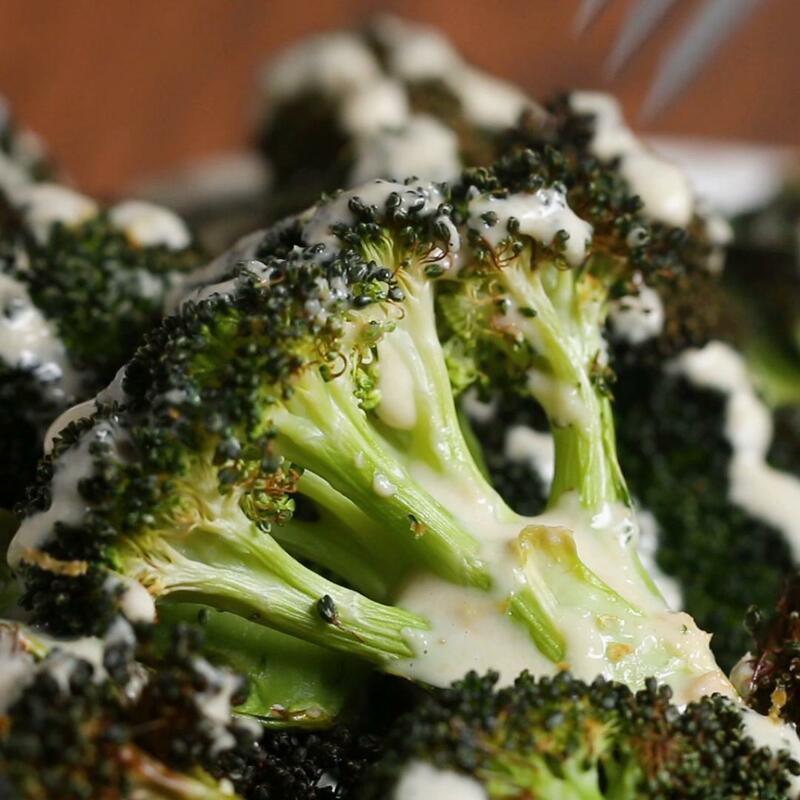 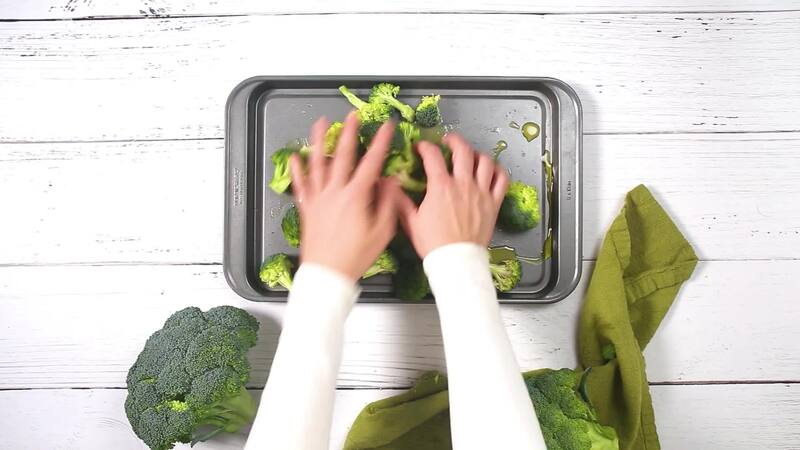 Broccoli florets coated in olive oil laid out onto a baking sheet.